It is very nice to meet up with a very long time BFF. I haven't seen here for ages nor exchange updates with our lives. 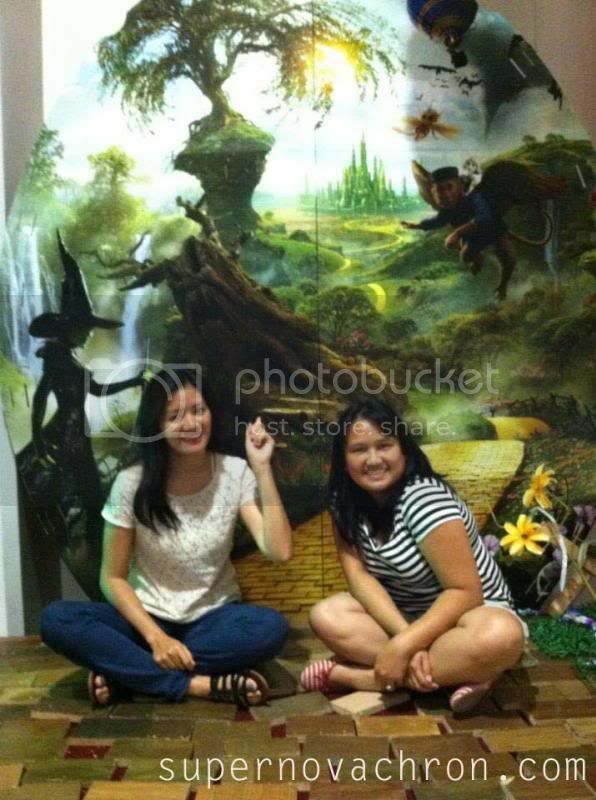 And finally before my trip back to Manila, we finally meet up again to watch OZ THE GREAT AND WONDERFUL movie. We though we can watch it through 3D, apparently they don't have it. We strolled in SM Mall of Gensan, well we ate lunch together first a GIACOMINO's where I was craving to dine-in. I missed her so much. And I am glad we have such a wonderful day together. This was taken after we watched the movie. I even asked the stranger to take this photo so we can be together. Oh! Did I mention we hog that booth? Love this picture and I miss her too :( Share more pics beh!